Republicans don't see eye-to-eye with most Americans on their view of Russia's relationship with the U.S. While most Americans see Russia as unfriendly or as an enemy, most Republicans think of Russia as either friendly or an ally. This wasn't always the case. At the turn of this century, Americans had a more favorable view of Russia, generally. In November 2001, eight in 10 Americans said Russia was friendly to the U.S., including one in four who called Russia an ally. Vladimir Putin had been president for just about a year and a half at that point, succeeding Boris Yeltsin. In 2001, Republicans, Democrats, and independents all said Russia was friendly towards the U.S.
By 2014 with Putin's annexation of Crimea from Ukraine, American public opinion had turned against Russia. In March 2014, just over half of Americans– 51 percent - viewed Russia as unfriendly or as an enemy. Positive views of Russia dropped among Republicans, Democrats, and independents alike, but particularly among Republicans. By February 2015, more than six in 10 Republicans said Russia was unfriendly towards the U.S., compared to just over half of Democrats and independents. The 2016 election saw a drastic partisan realignment in terms of the public's views of Russia. In January 2017 – just days before Donald Trump's inauguration and amid allegations of Russian interference in the 2016 elections – 55 percent of Republicans saw Russia as friendly towards the U.S., while two-thirds of Democrats said Russia was either unfriendly or an enemy. And while most Americans –- particularly Democrats -- believed Russia interfered with the 2016 elections, most Republicans believed there had been no Russian interference. Today that partisan split when it comes to Russia has only widened. 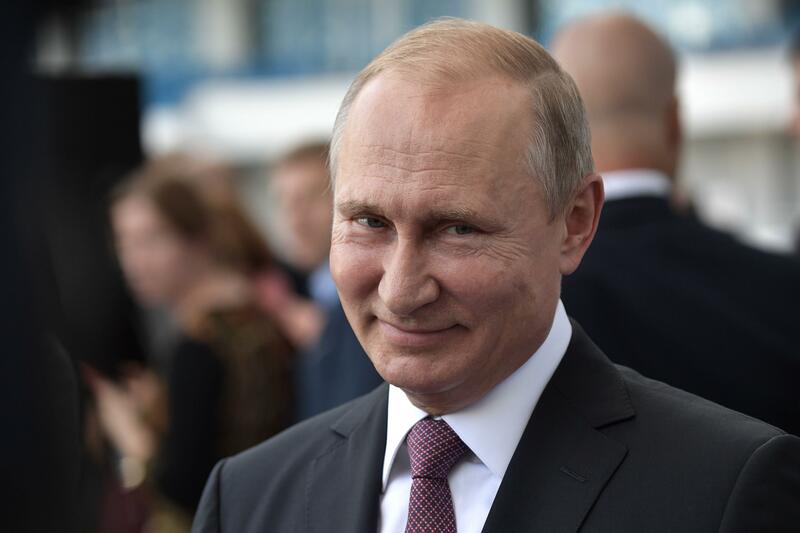 Fifty-nine percent of Republicans now see Russia as friendly to the U.S., while seven in 10 Democrats say Russia is either unfriendly or an enemy. Most Republicans remain comfortable with Donald Trump's handling of Russia, while 77 percent of Democrats think he is too friendly towards Russia - up from 66 percent who said he would be in January 2017. And while most Republicans are not very concerned that Russia will interfere in the upcoming 2018 congressional elections, two-thirds of Democrats are very concerned.